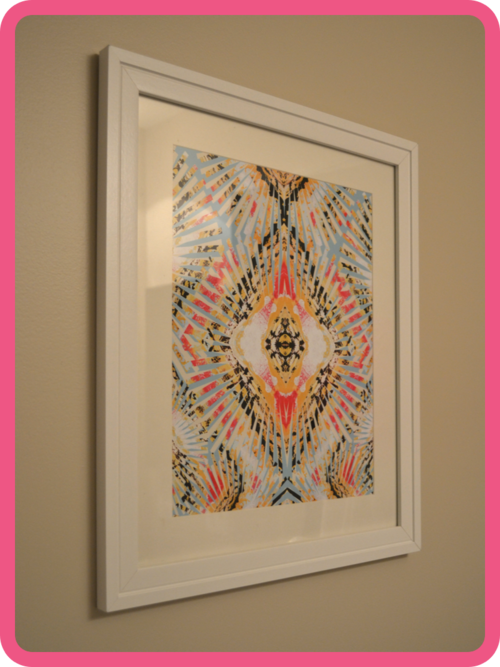 I have been lusting for this print for awhile now… Cozamia creates the most gorgeous and vibrant prints- I want more, but this one I just had to have! To stay on the thrifty side of things, I ordered the print (Brittle Stars on Blue) in size small (11” x 14.7”), image kind had a current promo code for 25% off- essentially equated to free shipping- score!. I then purchased the frame from Michaels- used a coupon and got it for 10 bucks! All in this lovely piece of art was under $60.